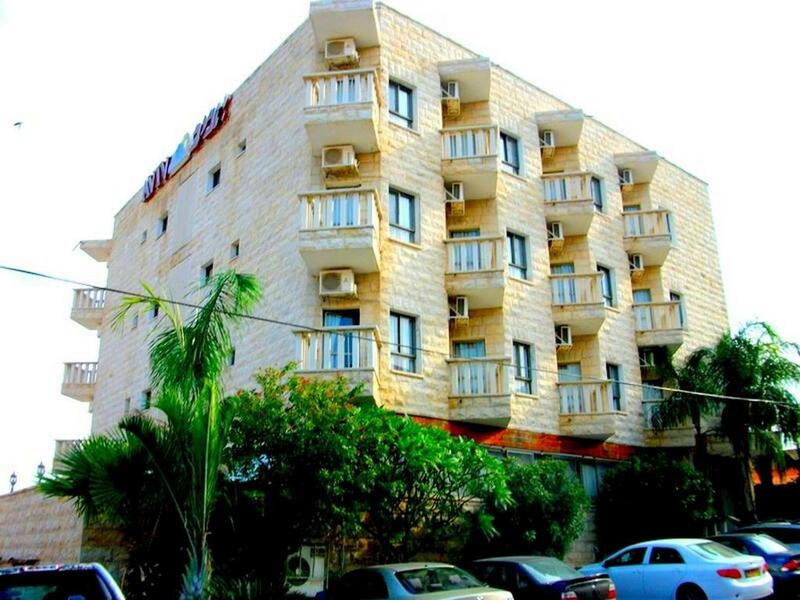 Lock in a great price for Aviv Holiday Flat – rated 8 by recent guests! Really good location, super cold air conditioning, and lots of hot water. The staff was super friendly and gave us maps to the city. But Best of all they let us store our luggage the next day as we finished touring Capernaum. I will stay here again and highly recommend this place, and the night time clerk was quite exceptional too. The location was good and the rooms were spacious. Breakfast was good but had to go outside and to another building for it. Nice balcony to view the sea, nice breeze. Good beds. Clean, but shower needs to be bleached to remove mold. 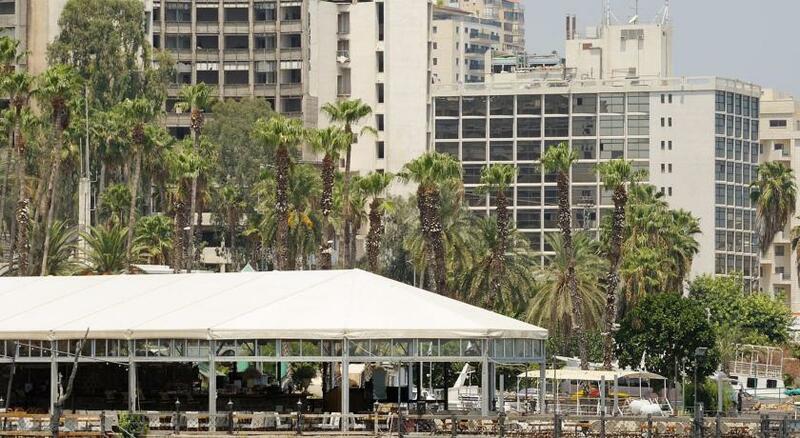 Tiberias is overpriced, so Aviv is probably a good deal relative to the other tourist traps. Comfortable but not to clean beds. Good location walking distance to main stores. The service was excellent, the rooms very new and clean, the facility is upmarket and very tasteful. The food was wonderful and tbe buffet supper and breakfast was outstanding. Good sized room with kitchen. Good views of lake Galilee. The facilities were above average for the price point. Our group had a great time. The breakfast in the morning was excellent! One of our top picks in Tiberias.Aviv Holiday Flat is a 5-minute walk from the center of Tiberias. The air-conditioned rooms offer a 40'' flat-screen TV, a kitchenette and balcony. Free Wi-Fi is available throughout the property. Parking is also free of charge. Just a few hundred yards from the flats are a water park, hot springs and spas. Aviv Holiday rents bikes so you can explore the waterfront and the surrounding area. When would you like to stay at Aviv Holiday Flat? Air-conditioned room with a small kitchenette, a table and a balcony. Kitchenware will be supplied upon demand. The suite features a sitting area. Kitchenware will be supplied upon demand. This room offers a spa bath. Kitchenware will be supplied upon demand. House Rules Aviv Holiday Flat takes special requests – add in the next step! Aviv Holiday Flat accepts these cards and reserves the right to temporarily hold an amount prior to arrival. There was a lot of mold in the bathrooms. Aged room interior. Cleanliness not great. Needs remodeling. Within aged interiors, gladly the bed was comfortable. The breakfast, made available at a neighboring hotel, was very good in assortment and quality. Location agreeable. Easy access, car parking available, kitchen corner convenient, very close to the city center (few minutes walking), nice overview to the lake. Breakfast was large and delicious. our last morning there we had no hot water. The rooms were a little worn but the price and location more than made up for any shortcomings. The staff was very friendly. The bed was a king which was comfortable but it was very firm. Paper thin walls. Mediocre breakfast at busy tourist hotel is a two minute walk away. Wifi signal too weak to use in room. Beatiful view, comfortable, delicious breakfast. Poor maintenance. Over priced breakfast for kids. Mold smelling in the room. Overall cleanliness and a room where the neighbor wasn't on his phone until 4 in the morning. Entrance was situated on the backside of the hotel, proper where trash was abundant. The room was comfortable, but appeared to need an upgrade. Sleep was interrupted by the neighbors next door, being that the walls seems thin. The view was sold as a beach-side view, which also included a cemetery and an empty lot. On a positive note, the hotel was a short walk to the center of the old town and shopping and parking was available at no cost.